Gourmet, gourmet, and more gourmet. 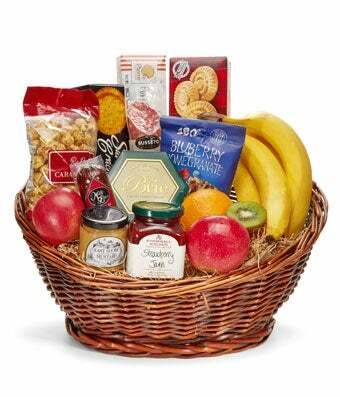 A delicious variety of gourmet treats arranged with fresh and sessional fruit makes this gift a one of a kind. This is the perfect gift for the holidays, birthdays, a get well or congratulatory gift. Please note, that the assortment of fruits and gourmet items may vary.